Could Your Business Get More Customers? Tired of paying for the “latest” marketing trend that ends up costing your business more than what it generates in revenue? Let’s fix that! And Yes, it’s FREE! (for now)… So please, spread the word. Think of this FREE Help Program as a FREE diagnose to your car which its “check engine” light just came on. You know there’s something wrong with the car, you just don’t know what it is yet. After you get the diagnose and find out what’s wrong with your car, you fix it. You take the guesswork out and get it done. 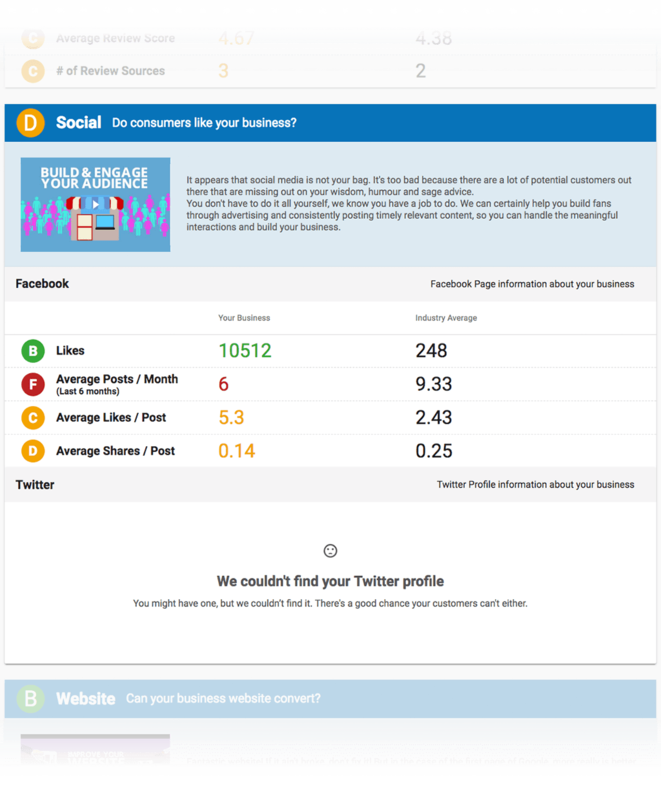 Our Snapshot Report is a personalized report that surfaces and compares your business’s online presence to others in the industry. These 6 pillars of the virtual doorway – Business Listings, Customers Reviews, Social Media Reach, Website Conversion, Digital Advertising and SEO (Search Engine Optimization) – will help you to understand where your business needs the most help and how we can help you! Your entire online strategy will be measured against these 6 strong pillars you MUST have in place in order for you to maximize your online opportunities. 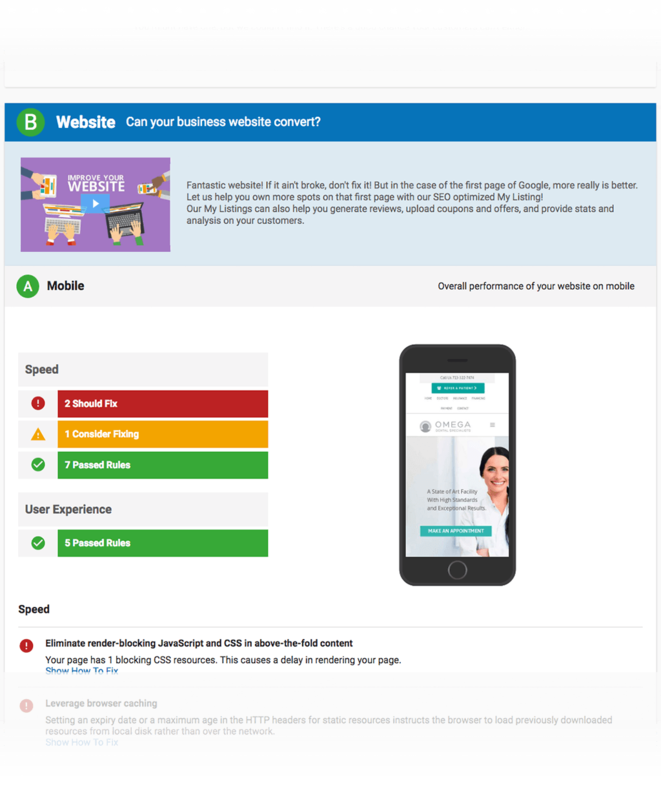 Chances are, if you are here reading this, you know that your business could be doing better from your current online efforts… Perhaps, much better! That’s where we come in! The reason we launched this Marketing Agency, is because of the huge need for it that there is… We love small businesses and it’s very frustrating to see so many good small businesses with poor online representation, poor online sales strategies and poor online marketing being executed just to see them go out of business a few years later… We know we can’t help every small business, but we can help a lot of them! Very few businesses these days are properly executing their Online Marketing and they are the ones who are making a killing. 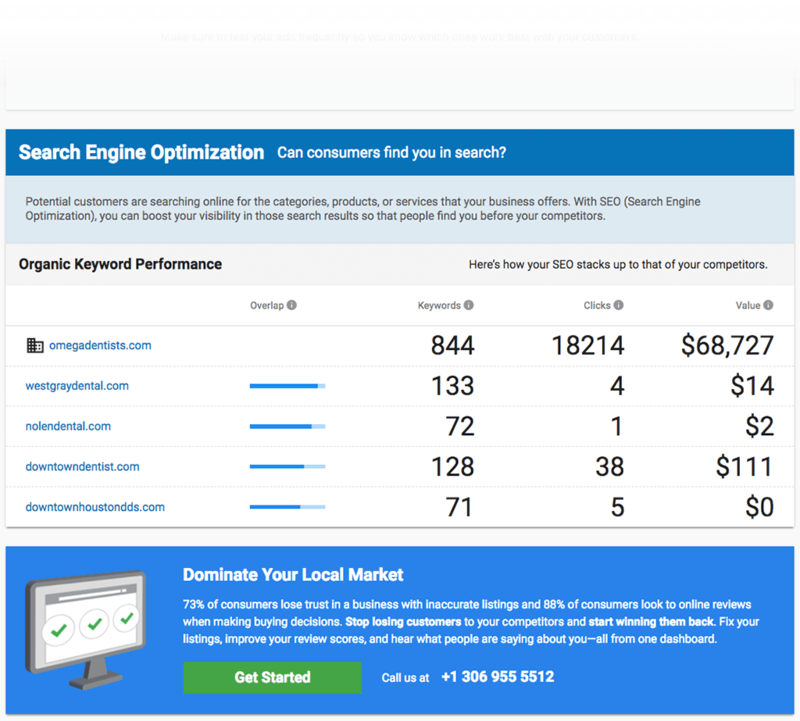 Once you close these gaps, you will start getting more customers from your online marketing efforts and more repeat sales from your existing ones almost immediately. 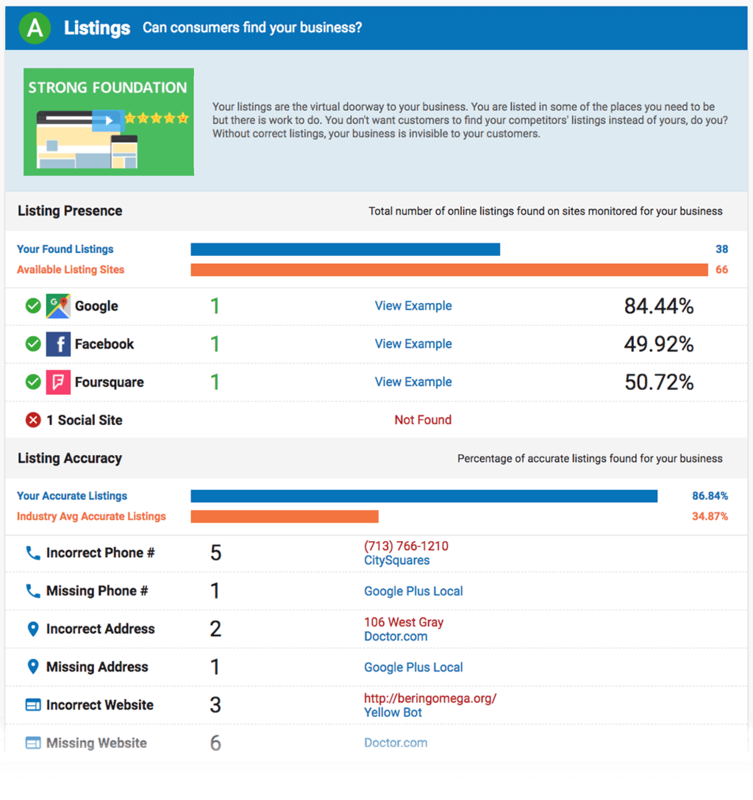 As a local business, you need accurate listings on a lot of business directories to ensure people can find you online. We put you on the map with an abundance of accurate listings. 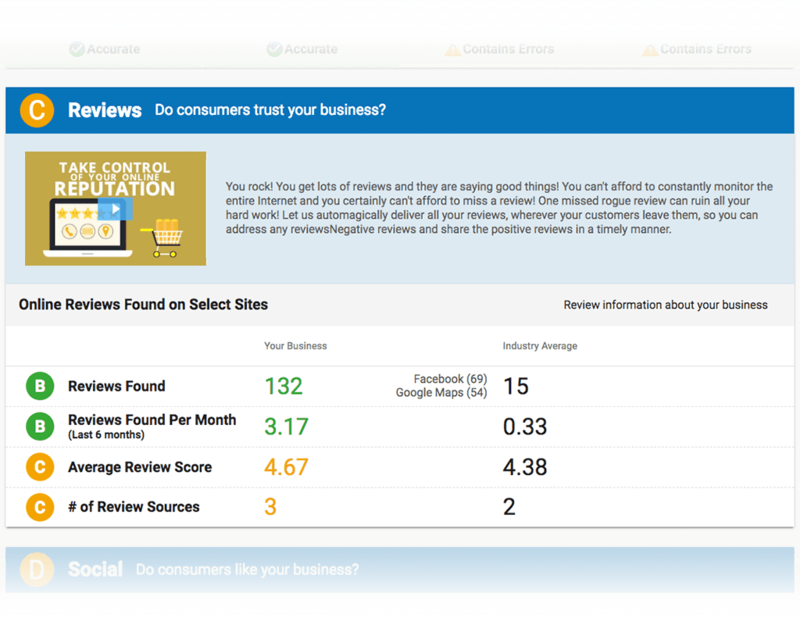 As a local business, you must continually collect fresh reviews and strive for a 4-5 star review rating to establish trust and credibility. We can help you make a stellar first impression. As a local business, you must keep your followers engaged to grow your audience and build brand loyalty. Let us grow your engagement, let us grow your audience. As a local business, you need a mobile-friendly site that delivers the information people seek in order to make buying decisions. As a local business, you need to own the right keywords to ensure that your target audience knows about you. 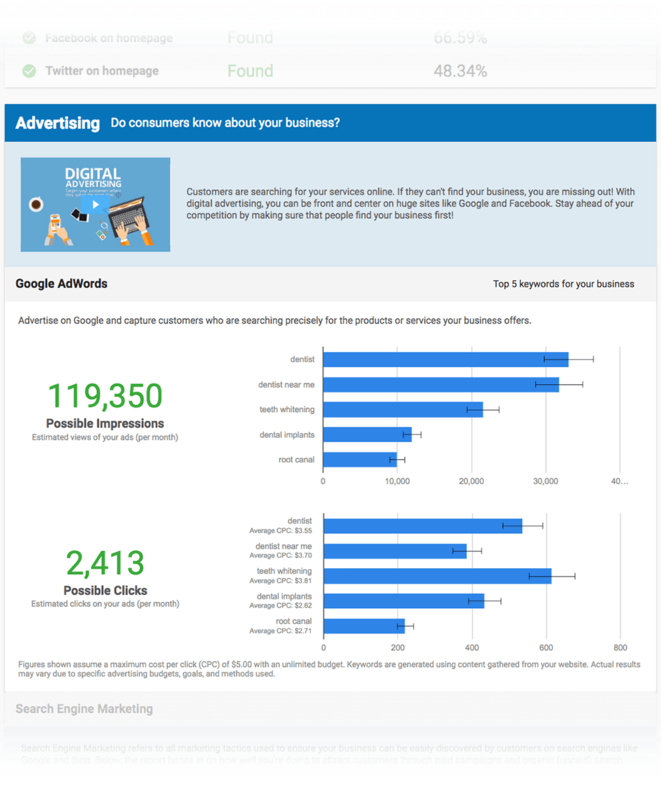 The Snapshot Report identifies how your business’ organic keyword performance stacks up against your competitors’. As a local business, you need to own popular keywords to ensure potential customers find you before they find your competitors. We help your businesses climb to the top spot. Is your web presence primed for traffic and conversion? 90% of the businesses we see aren’t!!! To find out if yours is, simply fill out the form below and submit it. You will receive everything delivered straight to your inbox.